The loss of suction in any given vacuum can be disastrous and may make the delivery of clean surfaces to be in the mirage. That is why the shark in their wisdom has made sure that this cleaner has continuous suction power. The convenience of the cleaner will be seen by its ability to carry out any cleaning task, be it on the floors or the carpets. Review summary-the act of getting the floor to have some spotless feel, especially in stances of cemented floors is usually a matter of urgency if not important. The underlying point is that there has to be a better, consistent and reliable way of doing this. Introduction-there are several companies which have specialized in ensuring that households get just what is best for their use. These machines and tools usually have diverse areas where they fit. The shark vacuum cleaning company which has stood out in the market however caught my attention, and I’m sure of many others. Taking a look at the diverse products they have within their fold, one is amazed at the level of expertise and the understanding they have of the market needs. Take the case of the Shark Rocket Ultralight Upright (HV302) which I recently bought. The secret behinds all these as I realized is the huge manufacturing base which they have built over the years supported by quite innovative and supportive staff. In fact, the company has invested hugely in terms of ensuring that they have only the best workforce in the market. But be it as it may, clients like I buy the product not the company. The diverse reasons which made me interested in this may likewise interest you. It uses the suction power which enables it to collect every bit of dirt on the floor without need for wetting. It has an ergonomic compact build which makes it a perfect companion where general cleaning is desired. It can clean any surface be nit bare floors, carpets and even walls. It features a swivel steering wheel which allows its movement to be quite simple. It has a dust cup which allows for efficiency in the process of collection of dust and dirt. Easy press button operation mechanism which makes it simple to user. It weighs 7.5lbs, rather light weight for ease of navigation and storage. Have washable filtration mechanisms which helps cut on the cost of operations. It’s powerful with two speed brush rolls to assist in the process if cleaning. Comes with 30 feet power cord, long enough to aid during cleaning. This also helps cover a larger area. It uses 500 watts of power. An assortment of accessories like upholstery tools, the dust away hard floor attachment with microfiber pad, a standard crevice tool, a wall mount and car detail kit for cleaning cars. It’s made into a slim design to allow for access into areas which are considered impossible to clean. This vacuum cleaner simply works on the suction principle. It’s a handheld device with the simplicity of any other cleaner out there. However, the power cord is important in plugging it into power. Run the cleaner over the desired surface as may be deemed fit with the higher areas getting the wand to assist. You can have to do the deep cleaning or just simple floor cleaning. The dirt collected is deposited on the dust cup and can be emptied at will. 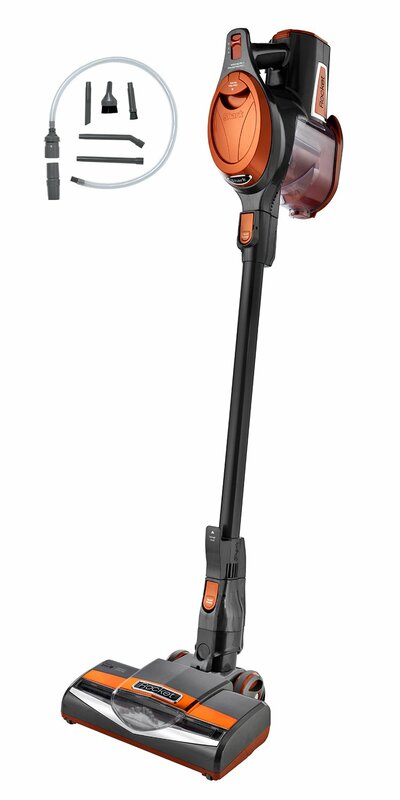 Efficiency- with the diverse features, the Shark Rocket Ultralight Upright (HV302) is one tool which can guarantee you an efficient way of making your house clean. Versatility- this vacuum cleaner is strong enough to withstand any level of pressure. In addition, the design suits it to clean even areas which would rather be left. Power- with the settings found on this vacuum cleaner, you can be assured that the user only gets a good thrust of power for the suction mechanism. It is easy to use and store based on its size and weight. 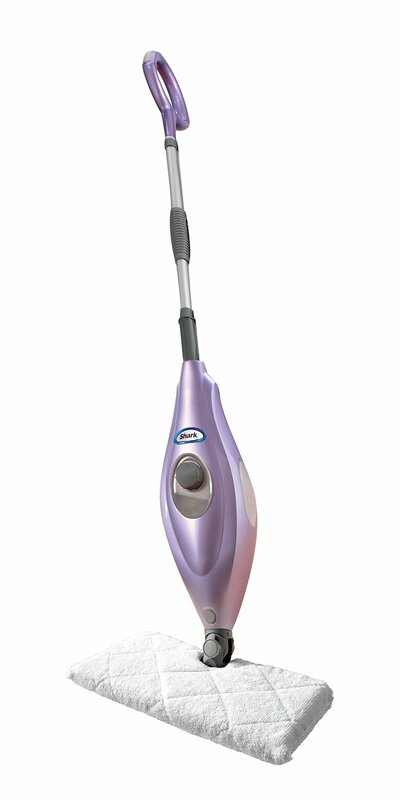 The vacuum cleaner is pocket friendly based on the diverse features which enable it work effectively. Clean and healthy surfaces based on its ability to efficiently collect dust. Fast cleaning of the floors and walls. Durability arising from the use of washable components. It may pull the user and tip her over due to the high suction power. Removing some of the components like the dust cup can be a real nightmare. It has to be held to be upright. The length of the power cord can prove to be an issue, especially in case where it tangles the user. It is usually surprising how people come in contact with some out of this world tools and yet they can’t use it efficiently. The reason for this being lack of reading the user manual. The vacuum cleaner has been seen to work efficiently for all those whom I have come across. The most important aspect before making any purchase decision is to ensure that you have as much information on the cleaner, you are lucky because that is what this review brings. There are however other vacuum cleaners in the market which could serve your desires. The major decisions are usually based on the quality and the price, all the attributes seen at the Shark electronics. Buying this will definitely be the best decision of your life this season. Points of purchase for this vacuum cleaner can be from the local household products dealer or your online stores .for those who do not have the time walking around the brick store, the online shopping is a viable option. The good thing is that the several available online shops provide delivery services to the buyer. That does not mean that the brick stores are not having the cleaner, they have though in most cases at a higher price. But if your need is urgent, visiting them will surely solve your problem. The whole Shark Rocket Ultralight Upright (HV302) comes when already assembled and may only need the plugging in of the power plug to be able to function. The first area to look for is in the area of the diverse brushes depending on the surface you need to clean. With the addition of the wand on the cleaner, the height will be enhanced and cleaning of the upper surfaces in the house can never be a problem. There are some which also use batteries and so you need to ensure that the battery remains charged. After every cleaning process, ensure that the dirt cup is removed and emptied. Clean off the bottom area of the cleaner to remove any attachments which could build up. Keep the moving areas in good stead by lubricating them. If the vacuum cleaner you have uses batteries, ensure that it is always charged. Though reviews may not be sales pitches, this is a good implement to have near you. It works flawlessly with minimum problems experienced. I can be a good testament having gotten a new lease of life since I bought this; my room is clean and quite pleasant to stay around. 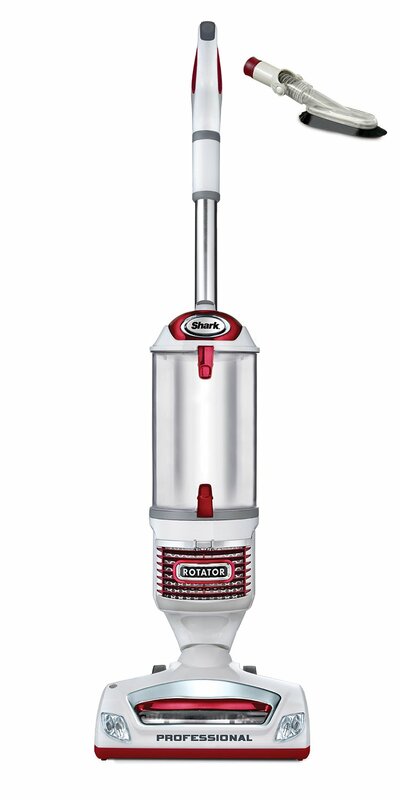 You have the discretion to carry out a comparative look at the other vacuum cleaners apart from the Shark Rocket Ultralight Upright (HV302) to be able to have a different feel of what you may be missing when you are not using this cleaner. You can click here to get more information about Shark Rocket TruePet Ultra-Light Upright (HV322) , a similar product.